I know exactly where I’ll be the afternoon of Black Friday. And there won’t be any badly lit dressing rooms, crying toddlers, evil-eyed strangers fighting me over parking spots or racing from store to store chasing the biggest discounts. 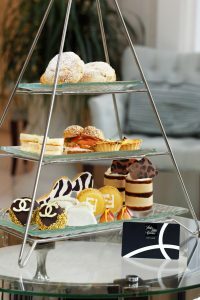 I’ll be in the beautiful St. Regis Atlanta, daintily lifting a finger sandwich off a silver tray while reviewing the pretty freshly baked pastries and sipping warm tea. Then my daughter and I will lift a glass of sparkling wine and toast to the Post-Thanksgiving Tea Tradition, and how happy we are to be together and far from the insanity of Black Friday shopping. We adopted this tradition from a high school friend of my daughter’s. Her friend Monica has tea with her mother on the day after Thanksgiving every year, a tradition started by her grandmother. They invited us for several years to share in the lovely tradition and now we have made it our own. 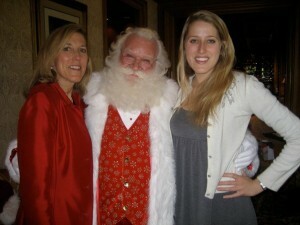 We saw Santa at Tea at the Ritz a few years ago. My other favorite quote about tea is from Eleanor Roosevelt, who compared women to a tea bag. You can’t tell how strong she is until you put her in hot water. 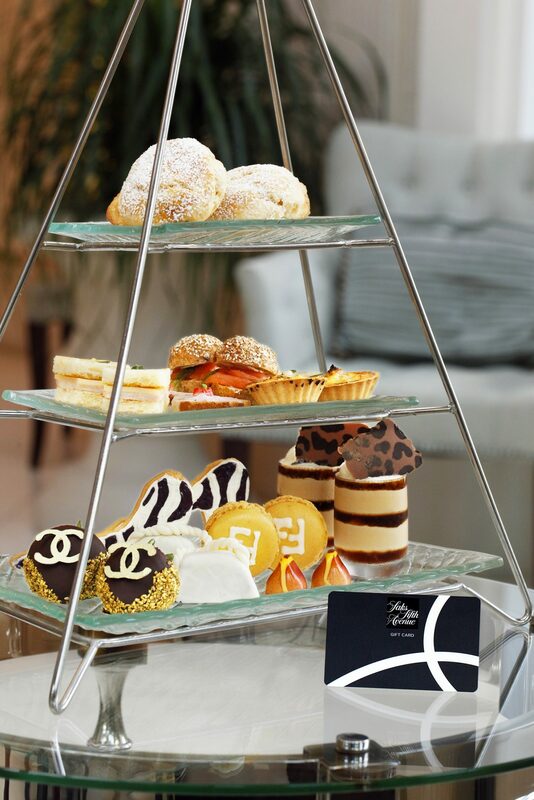 This year we are going to the St. Regis, which is hosting a Black Friday Tea. 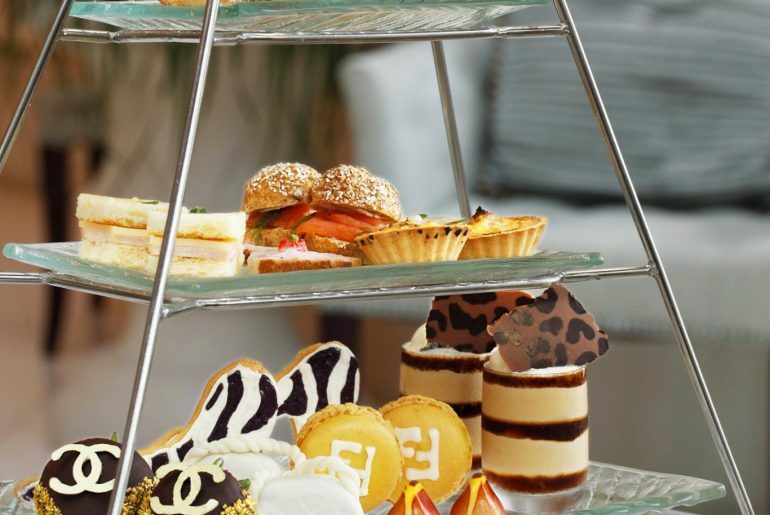 In addition to the usual teas, petite sandwiches, sparkling wine and pastries, this tea includes a $50 Saks Fifth Avenue gift card. Enjoy the tea now and shop later. A regular Holiday Tea is offered daily through December. If you have younger children, they can have tea with Santa, who will be at the St. Regis from December 2-4; 8-11 and December 15-24 from 2-5 p.m. He will visit with each child and give them gummy fish and bears straight from the North Pole.